While well-established annual events such as the uilleann pipers’ Tionól, the harpists’ Cúirt Cruitearachta, Cruinniú na bhFliúit in Cúil Aodha and Cairdeas na bhFidléirí’s fiddle week in Glencolumcille provide a forum for enthusiasts and practitioners on most traditional instruments, there has been no similar celebration of the concertina in Ireland for a number of years. For most of the particpants of the workshop and the audience at the concert this was a first time experience with a concertina workshop and a chance to meet other enthusiasts. As one of them let us know: “I really learned a lot both from the actual workshop and from talking to the other participants. The relaxed and knowledgeable approach by Alex made it a wonderful experience. She was an excellent choice and was able to manage a very mixed group of clearly experienced players and beginners (such as me). It was a real treat. The presence of Harry Geuns and the final concert were the icing on the cake of a wonderful day. I am really hoping there will be more chances in the future to bring Dutch (and Belgian) concertina players together and learn and play together. There are obviously but very few possibilities in the low lands.Thanks to the International Concertina Association for having made this workshop possible. See clips for an impression of workshops and mini concerts….. Alex is one of the rare tutors who not only plays folk and classical music on concertina but also teaches very well. The sessions may not be suitable for complete beginners, and as they are very specific to the instrument they will not be suitable for players of the other kinds of concertina either – the English or the Duet. And please note – the small twenty button Anglo will not be adequate for this course.You’ll need an Anglo concertina with not less than thirty buttons, and ideally a keyboard chart of what all the buttons are. If you haven’t got a chart, John will help you to knock one up, and, thus equipped, whether your interest is in beefing up your tune playing or adding floating parts to accompany your favourite song, Mr Kirkpatrick will be able to bring a lifetime’s experience to bear and help you along the way. The Spare Parts Concertina Band is running a part-playing session for concertinas at Broadstairs Folk Week www.broadstairsfolkweek.org.uk this year on Wednesday 15th. August from 10.00 – 11.30. People who aren’t attending the whole festival can still pay on the door. The music can be downloaded from the band website as dots and midis: www.sparepartsband.co.uk/SPTunes.php. Feel free to try the music even if you aren’t coming to the session. Alex has played the concertina from a very young age and is an accomplished musician on Concertina, Flute and Saxophone. 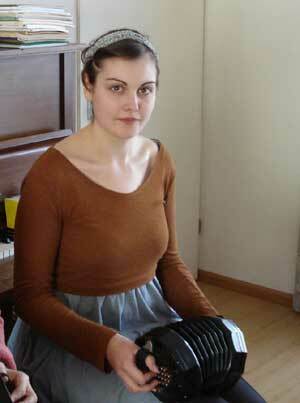 She has experience as a musician in all styles of music and teaches music professionally. Participants for the workshop pay 20 Euros. The concert is free. 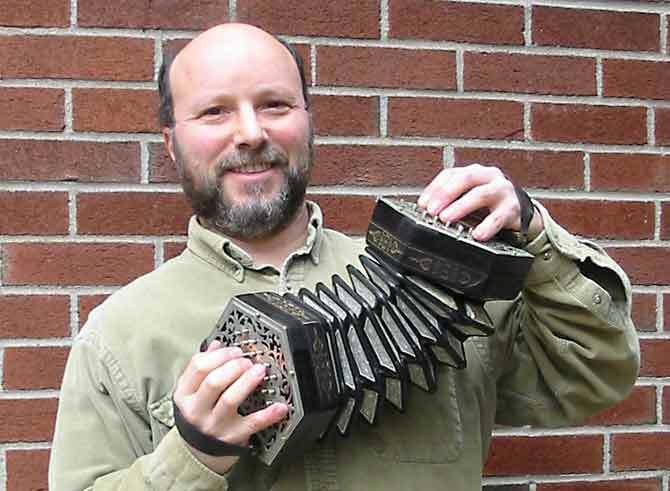 Rob Harbron will lead a one-day concertina workshop which will help players develop and consolidate their own individual playing styles. Rob plays the English system but the day will be open to players of all systems and much of the day will be spent discussing ideas and technique which are not system-specific. The day will be suitable for players of all abilities, from basic through to intermediate and advanced. The day is concerned more with individual style and technique than playing together, but music for a few tunes which will be used throughout the day will be sent by email a few days beforehand. Doing the basics well – making a good sound by thinking about posture, use of the bellows, tone, attack, dynamics, etc. Putting it all together – shortcuts to harmony and accompaniment, techniques for building arrangements, and ways to perform more confidently. Paul is Deputy Head of Service at Gwent Music Support Service, and Director of Youth Symphonic and Jazz groups in Gwent, and The Modern Ensemble. He plays flute and saxophone, composes, and has conducted in many of the big national concert halls. He’s excited about working with us, which is amazing! There are only a few places left – book now!